Tajikistan’s privately-owned carrier Somon Air will take delivery of a Boeing 787-8 in Q1 2018. A preliminary agreement to this effect was signed at Dubai Air Show in November. 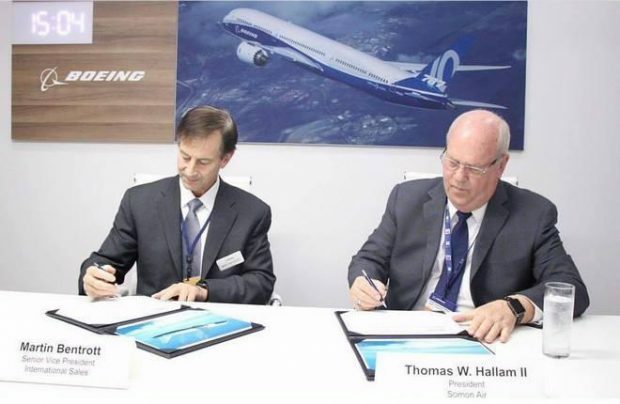 The aircraft will become the first long-haul twin-aisle jet in the airline’s fleet. Somon Air was the first Tajik carrier to join IATA. Its fleet currently comprises six factory-new Boeing 737-900ER narrowbodies, all of them delivered in 2011. The carrier will use the Dreamliner to link Central Asia to Europe and the Far East, as well as launching direct flights from Tajikistan’s capital city Dushanbe to the US. Elsewhere in the CIS, the 787 is operated by Azerbaijan Airlines (AZAL) and Uzbekistan Airways. Russian flag carrier Aeroflot was mulling an order at some point but subsequently abandoned the idea.